Installing an instantaneous hot water system has many advantages, the biggest of which is that there is no need to worry about someone “hogging all the hot water.” When you turn on an instantaneous hot water system, the water is heated up on the spot by a gas or electric system instead of drawing preheated water that is stored in a tank. Essentially, an instantaneous system (also called a continuous or instant system) ensures that you will have an endless supply of hot water. Another great thing about instantaneous hot water systems is that you get to control the water temperature. If you like a warm shower instead of a hot one, you are free to adjust the temperature using a remote control or a dial on the unit. The water from an instantaneous hot water system is also cleaner and fresher. If you aren’t able to use the hot water in the tank for even a couple of days, it becomes stale; this is not to mention the inevitable rust and dirt buildup inside water tanks that may affect the quality of the hot water. Instantaneous hot water systems are also cleaner in general because they have fewer emissions compared to tank-based hot water systems. If you want a space-saving, aesthetically pleasing, and environmentally friendly hot water system, it’s time to call your local plumber. An instantaneous hot water system requires good ventilation for it to work safely and efficiently, and your local plumber can determine the most ideal location to install it in your property. What’s more, local plumbers can also help you pick the right size of the system. People often end up buying a system that is too big, which increase their utility bills; your local plumber can help you avoid making this mistake. Local plumbers can also provide you with honest, more accurate pricing; you can be sure that the rates they will give are guaranteed to be friendlier on your wallets. If you need repairs done, you can also count on your local plumbers to be there that much faster. Access to clean, hot water is important and local plumbers can respond to emergency situations promptly to restore your hot water systems in the soonest possible time. On the other hand, if you don’t want to replace your old system but want to increase capacity, your local plumber can also recommend the most suitable instantaneous hot water system. This is the perfect option for homes that have a higher consumption and want to supplement their current hot water supply with a cost-effective alternative. 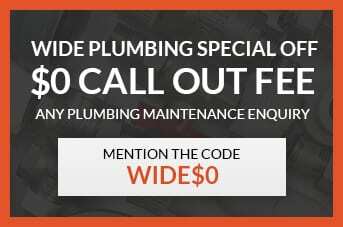 For instantaneous hot water system installation, inspection, and repair, don’t hesitate to call Wide Plumbing Services at 0419 012 750 or send an email to centralwideservices@gmail.com. You can rely on our team of expert plumbers to attend to your plumbing needs, wherever you may be in the Central Coast. Meanwhile, our customer service team is standing by to answer your enquiries about the range of products and services that we offer. Most plumbers already fold in the cost of materials in their estimate, but you should still clarify this so that you don’t get a shock if the price you pay is not the same from the initial quotation. Inspections and repairs, on the other hand, cost about to for a fixed rate and about to for a per-hour rate. Your local plumber may suggest maintenance or replacement work on the spot, for which you will be charged an extra cost if you agree to them. When it comes to your hot water systems and general plumbing needs, there is no other plumbing company that can offer you quality services for reasonable prices than Wide Plumbing Services. We guarantee that you will receive unparalleled professionalism, from the moment you call our hotline or send an email up until our team performs a final inspection to ensure that your plumbing and your home are left in good shape. Big job or small, you can count on Wide Plumbing to deliver stellar customer service and excellent workmanship every time. Rest assured that you, our customers, will always be our number one priority.